Nationwide tattoo trade school offers praise for SUNY Purchase College's upcoming class on tattoo illustration, offering insights into what it takes to become a professional tattoo artist. Long have we recognized the skill and talent it takes to create lifelong body art. We hope the students who complete the course will consider A.R.T. as their best option to find a responsible apprenticeship in New York, New Jersey or Pennsylvania. Everyone has taken at least one art class in his or her life; however, few art classes are quite like this. From Sept. 19 through Dec. 12, SUNY Purchase College will be offering a new class on tattoo illustration as part of its Personal Enrichment program. According to an Aug. 19 LoHud.com article, the class will be open to the public. John Costello, Apprentice Advocate at the Academy of Responsible Tattooing (A.R.T. ), says this course can be a great step toward becoming a professional tattoo artist. Because Purchase College's class is a broad survey of different genres of tattoo art, this class can show people a sampling of the artistic possibilities within the field. "At the Academy, we're thrilled with what Purchase College is doing to make the artistry of tattooing more mainstream," Costello says. "Long have we recognized the skill and talent it takes to create lifelong body art. We hope the students who complete the course will consider A.R.T. as their best option to find a responsible apprenticeship in New York, New Jersey or Pennsylvania." Many aspiring tattoo artists will face obstacles when trying to earn their tattoo education. This highly-specialized trade typically requires aspiring artists to complete an apprenticeship with an experienced tattoo artist, and finding a good apprenticeship is a huge challenge. 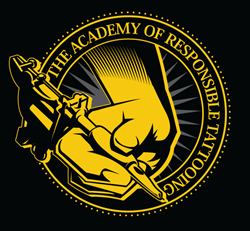 To help aspiring artists learn their trade more easily, the Academy of Responsible Tattooing offers a comprehensive tattoo training program with guaranteed job placement. Guy Prandstatter, a legacy tattoo artist and founder of The Academy of Responsible Tattooing shares, "Tattoo artistry is a specialized trade that guards its best practices and requires apprentices to seek out master craftsmen as mentors," Prandstatter explains. "The process of securing a mentor can take years, and if accepted, learning the craft can also take years. The risk in a traditional apprenticeship is the lack of any guarantees of employment whatsoever. The benefit of A.R.T. is the guaranteed placement upon completion of apprenticeship." Ultimately, anyone considering pursuing a career as a tattoo artist must understand that a tattoo education takes patience and discipline, Prandstatter says. Working as a professional tattoo artist requires passion and dedication. "All aspiring tattoo artists should note that a tattoo apprenticeship, whether at the Academy of Responsible Tattooing, or one-on-one with an established artist, takes time and commitment to complete," shares Christina Seeber, Marketing Manager at A.R.T. "Anyone with questions about tattoo apprenticeships is welcome to reach out to us. Our next workshop in Brooklyn for future tattoo artists is on September 13th, and in New Jersey on September 20th. You can get more details on that from our website. We believe A.R.T. has found a better way for artists to pursue their passion." Located in Brooklyn, Jersey City, Los Angeles and Philadelphia, the Academy of Responsible Tattooing allows aspiring tattoo artists to advance their career through extensive training. For more information, please visit tattooschool-art.com.